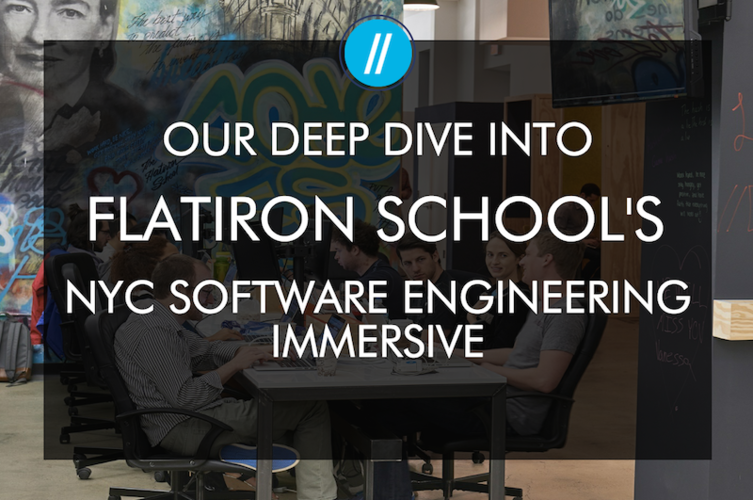 Flatiron School has been educating web developers in their NYC Software Engineering Immersive since 2012. But as technology and job markets evolve, Flatiron School’s education team felt the need to revamp their approach as well. We discussed these changes with VP of Education Joe Burgess, to better understand what these changes mean for students. Our takeaways? A longer, more flexible modular curriculum, regular student assessments, and greater focus on computer science and technical concentrations. The most important change to a student may be the length- why did Flatiron School decide to extend its NYC Software Engineering Immersive to 15 weeks? Honestly, four years ago when we started Flatiron School, we decided on 12 weeks and it worked well for our curriculum. Over the past four years, we've iterated and tried to squeeze more and more out of those 12 weeks. As this industry is maturing, one amazing thing that’s happened is that employers are demanding more from their junior engineers. The Flatiron developers have been increasing the caliber of junior engineers. In our opinion, 12 weeks just isn't long enough to be able to create incredibly elite, high-quality junior engineers. Of course, we know that moving from 12 to 15 weeks is not a small consideration, but I think it's the right balance of time, depth, and breadth for our NYC program. What are you able to add to the curriculum with those extra 3 weeks? With those additional weeks, we’ll be able to add on project-based technical concentrations, in which students go really deep into a topic that interests them. Our Career Services team has been placing students for four years now, and we know what moves the needle– having a concentration in a particular topic is one of those things. The additional time also allows us to add a Product Series, so we can help students become well-rounded product engineers that understand there's more to being an amazing engineer than just slinging code. You have to understand how businesses work, how to solve problems, how to conduct user research, and how to work in a team, etc. As we continue to talk to employers and to our alums who are thinking about their entire careers– their second, third, or fourth jobs– our alumni always say that they really wish they had gotten more Computer Science education, so we're building that into the 15 weeks as well. Do you think that longer class time is a trend that we're going to see in coding bootcamps? I would hope so. 12 weeks just isn't enough, and as much as I am really proud of how much we're able to squeeze out of 12 weeks in the immersive format, there are limits. I think many 12-week bootcamps will probably be making a move to a longer format. We believe that the return on investment of three extra weeks will be seen in better jobs and faster placement. What do the new three-week rolling start dates mean for students? This is really exciting. The three-week rolling start dates mean that we’re able to modularize our curriculum into five, three-week modules. Prospective students can take a closer look at these topics in our syllabus. At the end of every module, students will get two chances at an assessment to figure out how well they know the material before moving onto more material. Why are you adding assessments to the curriculum? Right now, Flatiron does not do regular assessments, and that can make it somewhat tough for students to know where they are in the curriculum. With these changes, in each module you’ll also get an initial assessment. If you pass it, you’ll go into a project for the last week of the module. If a student doesn’t pass the assessment on the first round, we will put together a customized learning plan and some extra instructional support to make sure they really understand it before moving on. If they still struggle with the assessment, then we let them repeat the full module at no extra cost. Assessments give us some flexibility as educators to tailor the course for every student where we weren't able to do before. It just felt fair. Does that mean that a student can now technically fail out of Flatiron School? Yeah, that is a big difference. Right now, we graduate nearly everyone and give extra help to people who need it, but we're not set up to really help people who end up coming in with a bit less experience. So instead of waiting 12 weeks before having a conversation with someone that says, "Hey, you're going to need to buckle down if you want to succeed," we're going to start having those conversations two weeks into your class. If a student fails an assessment, repeats the module, and fails it again, then the truth is that we've done everything we can do given the accelerated nature of the program. I also hope that students can also use this as time to understand their priorities and their passion for coding. That being said, the student will get some refund, or have the option to join our online program, which is self-paced. The self-paced nature of the online course allows less experienced students to take their time on difficult topics. Could you give us an example of the technical concentrations that a Flatiron student can choose to focus on in the final module? We noticed that we had a student who got really jazzed about a particular topic, and when those students got hired, their employers would always mention that they loved that the student was obsessed with NoSQL or Mongo or whatever. During Technical Concentrations, students can choose from performance monitoring and software architecture, databases (traditional SQL databases as well as NoSQL), front end frameworks (React, Redux, and more HTML/CSS, D3, etc), and mobile application development with React Native. Technical Concentrations will be more student-driven. At the very beginning of the course, we're very prescriptive– we do everything with you. As the course goes on, you gradually become more self-sufficient. We still have instructors during Technical Concentrations, but they’re there to teach you how to learn, how to research yourself, and how to read documentation. Will there be an assessment for the Technical Concentration module? There will be an assessment, which will effectively be a mock technical interview. The whole point of the technical concentration is for students to “remove the magic” and actually understand what’s going on under the hood as much as possible. What’s the new maximum class size at Flatiron? The max class size is 20. Because we have classes starting every three weeks, we’re able to drastically reduce the class size. We went from 32 to 20 students, which means again that every single person that we admit has an amazing experience. For 20 students, we have two Junior Instructors and a Lead Instructor, so it's a really good student to teacher ratio. Are Junior Instructors past Flatiron School graduates? Yes. The title “TA” implies that they’re working part-time, and that’s not the case. 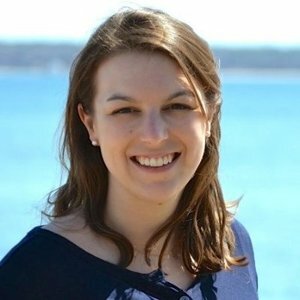 We choose recent grads to be Junior Instructors because they’ve been through the curriculum. They know all the labs as a student and now as a teacher. Because they’re former students, we basically get to “interview” them for three months to make sure that we're hiring the best teachers. There are students who are constantly asking intelligent questions in class, and also naturally gravitating towards helping the people around them. They'd seek out opportunities to teach, and it felt silly for us not to hire those graduates as Junior Instructors. Which computer science concepts has Flatiron worked into the curriculum? The goal of adding computer science to the curriculum is twofold. One is that computer science is valuable to learn as a software engineer because it effectively builds your intuition. Secondly, knowing computer science concepts helps with technical interviews. After talking to engineers at Facebook, Google, IBM, and all of our hiring partners about what they use day-to-day in their job, and what they look for in candidates, we came up with the CS curriculum. We are always trying to balance the theoretical topics with the practical, so we’ve added high-level algorithms and data structures– nothing too surprising. Students should expect to learn data structures like linked lists, trees, graphs, and hashes. On the algorithm side, they’ll learn searching, sorting, some binary tree stuff, some graph, minimum shortest path stuff, and then on top of all of that, algorithmic analysis, otherwise known as Big O Analysis. For the first few cohorts, computer science is taught on Saturdays. Our goal is to weave it into the curriculum, as well as offer extra work on Saturdays. When will be the first cohort that sees all of these changes? The March 13th, 2017 cohort will see all of these changes! Was there an underlying force that pushed this revamp? There was no specific catalyst; instead, we made the change because of conversations with employers and students. We're having conversations with our alums who have been out in the industry for three years and the alums that are now interviewing. We had enough data and the industry had matured in a rather serious way– so we knew it was time. We spent 2-3 months talking to every department at Flatiron, employers, and prospective students to put together this plan. These changes are what the market requires from a well-rounded hire and software engineer, and we know that we can provide that with these changes. Read more Flatiron School reviews, check out the course page for Flatiron’s revamped NYC program, and download the updated syllabus for a closer look at their new modular curriculum!